Boom! Crash! Bang! A dragon has arrived! He’s big, loud, snorting purple smoke - and all he wants is TREASURE! And he’ll try anything to get it… But he’s reckoned without the Baby. 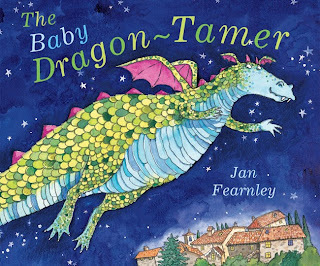 With all the booming, crashing, roaring and general silliness, this new picture book by children's author and illustrator Jan Fearnley is an absolute treat to read aloud to your kids. It's no wonder it's been nominated for the Red House Children's Book Award. 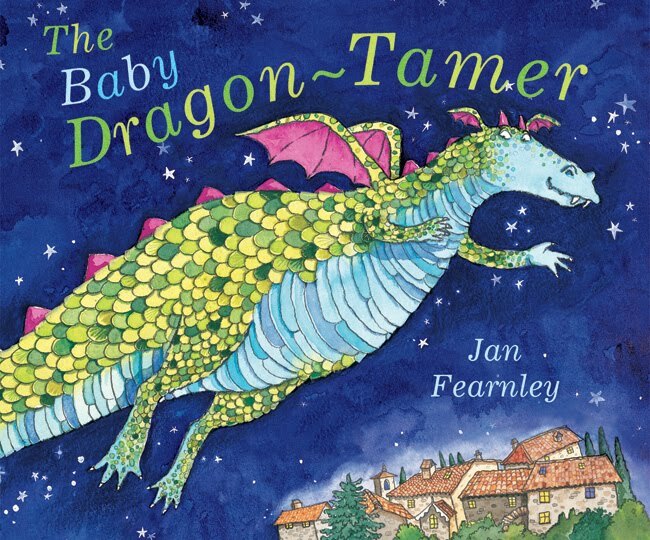 We're giving away 10 copies of the Baby Dragon Tamer, kindly donated by our friends at Egmont UK. To enter, all you need to do is join our Facebook fan page (http://bit.ly/facebookrkf) before April 30th, and we'll draw 10 winners at random. Want an extra chance at winning? Each tweet (using #reallykidfriendly), facebook page post, blog about us, or new discussion thread gets you an extra chance to win. PS - Not on Facebook? Log in and leave a comment below and we'll count you in the draw. There is no maximum number of entries into the draw - the more often you write / tweet the better your chances, but if we think you're a spammer we'll have to disqualify you. This prize draw closes at midnight on Friday April 30th 2010, and we'll notify the winners as soon as we can. The prize draw is open to everyone in the UK over 18 years of age. We will need to provide Egmont UK with the winners' postal addresses. No, they won't do anything with it except send you a lovely book. Share your thoughts - leave a comment! ReallyKidFriendly.com is your guide to how child friendly pubs, restaurants, cafes and days out in London really are - with opinions and ratings from people who have actually been there with kids! Had a fantastic outing, found a child friendly gem or had a complete disaster? Other parents would love to hear about it! Click here to write a review and we'll pop your name into our next prize draw.